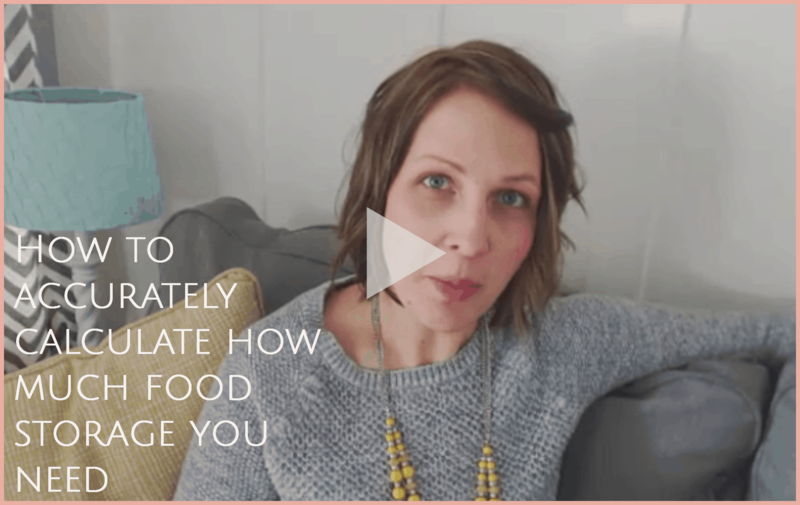 Hopefully I convinced you last week, especially if you are just starting out with food storage, that you should avoid items you don’t (yet) know how to use and get started by stocking up on items that are the basis for your family’s favorite recipes. I’m guessing that your family regularly eats things like meat, fresh vegetables or fruit and cheese etc. Those things can be difficult to store long term. But you do have options! Some links in this post may be affiliate links, meaning at no additional cost to you, I may earn a small commission if you choose to purchase something. I only link to products I own, trust and /or would recommend to my family. Thank you for your support in this way! NOTE: Today’s post is one of the longest I’ve ever written. However, it is organized and titled in such a way that you should be able to jump to the information you are looking for quite easily. I will also provide you with a printable summary sheet at the very end! Today I would like to talk about the different shelf stable options that are out there for the foods you eat everyday. Sure, wheat and beans have a long shelf life, but if you don’t know how to use them, you shouldn’t go buy a bunch! Shelf life is not the only thing you should consider when buying food storage. If you still need convincing, re-read last week’s post! There are six options for getting the foods you eat regularly in a shelf stable state: (1) Commercially canned, (2) Home canned, (3) Commercially dehydrated, (4) Home Dehydrated, (5) Frozen, (6) Freeze dried. No one option is right for every person in every circumstance, and I can’t tell you which is right for you. Oftentimes, a mixture of different options is what ends up being best. Instead, I hope to point out the pros and cons of each option in order to help you make an informed decision for your family. I will also provide a summary of this post in a printable format so you can print it out and discuss it with a spouse or other adults / teens that need to be involved in the decision. Good luck! Alright, I highly doubt most of you are going to click on and read all those, but I feel better knowing that you can check the info below if you really want to! On to the info you WILL (hopefully) read! 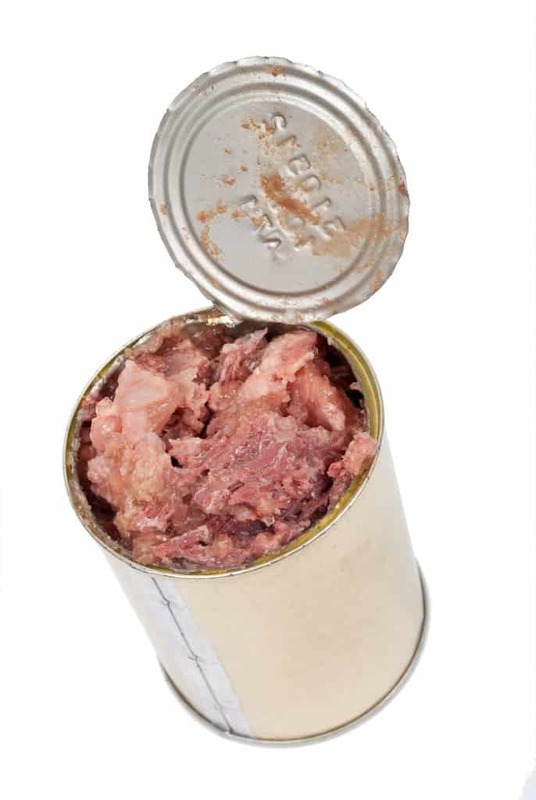 Most commercially canned foods have a shelf life of 2-5 years depending on the product. If it is an item you eat often, rotating through your supply every 2-5 years should not be a problem. Once the 2-5 years are up, some nutrition will have been lost, and the color, taste and texture will have changed, but the food will likely still be safe to consume as long as there are no dents or rust. The heating process of canning destroys 30%-70% of vitamins such A and C, thiamin, folic acid, and riboflavin. These sensitive nutrients continue to decline while stored, but very slowly (5%-10% per year). But many other vitamins are left in tact. But this isn’t as big of a deal as it might seem at first. Fresh produce is rarely eaten immediately (unless you grow it yourself), and if not refrigerated it can lose up to half of those same nutrients within a few days. Even if refrigerated, it will happen with a week or two. Most of the “fresh” produce you buy at the grocery store has already lost the same amount of vitamins. So, if food is canned immediately, the nutrient levels might not be all that different from fresh. But, with commercially canned foods, you don’t know if the food was allowed to fully ripen (and develop all it’s nutrients) before being canned. You also don’t know how long it sat after being picked before being canned. Personally, I don’t fully trust the nutrition levels of commercially canned foods. Most, but not all, commercially canned foods contain additives or preservatives. Sodium, in various forms is the most common. Sulfites are another and many people are very sensitive to them. Read your labels if additives and preservatives are important to you. You also need to be careful about BPA cans. Food in cans with BPA can absorb potentially dangerous amounts of bisphenol A. The color, flavor and texture of canned goods is different than fresh. That does not mean it is always bad (canned meat can be very tender), but it is different. It tends to be more mushy, bland, and dull (color-wise). Because canned foods are so different from fresh in their texture, they can be difficult to use in certain recipes. For example, stir fry is difficult to do with canned veggies. Smoothies won’t turn out quite right with canned fruit. But there are many recipes that actually call for canned goods (taco soup anyone?). If you seek out recipes that call for them instead of trying to convert recipes that call for fresh, you may have more success. Canned foods have been around for a long time and most everyone has eaten them. They aren’t new or scary. There isn’t much of a learning curve unless you are trying to convert a recipe from fresh produce / meat to canned produce / meat. Commercially canned goods are very easy to simply pick up at the local grocery store. A fantastic way to get started on your food storage is to buy a few extra cans every time you go. None (or very little). Simply grab a couple extra while grocery shopping. In many ways, home canned and commercially canned foods are very similar. I will only address the differences between these two below. While many home canners keep their food for much longer, everything I read above (see references) suggested a 1 year shelf life for home canned goods kept in a regular pantry. I’m sure some of this is because the home process cannot be monitored as strictly and one home canner may be more careful than another, so they need to be conservative in their estimates. If you are meticulous in your methods, you may be able to get a longer shelf life out of your foods. However, home canned goods are also canned in glass. This allows more light to reach the food which will make it deteriorate faster. To get the longest shelf life possible, keeping your home canned goods in a dark, cool place is especially important. Once the 1 year is up, some nutrition will have been lost, and the color, taste and texture will have changed, but the food will likely still be safe to consume for years after as long as meticulously safe practices were used in canning it. But if you want to get the most nutrition out of your home canned food, eat it within a year! For home canning to be cost effective, you have to do it regularly. This is because you have the upfront costs of the canner, jars, utensils which can run $100-$150 at least. So, if you are going to can your food, you need to be committed to it long term for it to be cost effective. If we spread that initial cost out over 20 years or so, it is just $5 – $7 / year. If you can 100 pints per year, that is about $0.06 per pint (which is about 1.6 cups of produce once you remove the liquid). After that initial cost, there are some additional costs each time you can. For example, every time you can something you must purchase new lids. Regular sized lids cost around $0.10 – $0.20 each depending on where you get them. According to this study by the University of Kentucky Extension service from 1998, the cost of gardening is approximately $0.10 per pound and you can get around 1 pound into a pint sized jar. It might be a bit more than that now in 2015, so we will go with $0.15 per pound. So, if you grow your own produce, your cost per pint (1.6 cups….slightly more than a 14.5-15 oz can from the store) will be around $0.36 or $0.23 per cup. Compare that to $0.65 per cup at the store and you have some significant savings! If you have more time than money, canning garden produce is worth the effort financially. However, if you don’t grow your own produce and instead buy from the grocery store or farmer’s market, it might not be worth it. You are paying $0.13 PLUS the cost per pound of the produce. This study from 2011 found the average price of produce to be $0.24 per 1/4 cup serving or $0.96 per cup. So, on average, you will pay $1.09 per cup if you buy produce from the grocery store. Meat is different than produce however because “growing your own” is unrealistic for those without a significant amount of land. I recently got some HUGE, beautiful chicken breasts from Zaycon (my favorite place to buy meat) for $1.69 / pound. The lowest price I’ve seen at my grocery store was $1.99 / lb and that was for some pretty weak looking chicken. Regular price is closer to $3+ per pound, and high quality (not filled with extra water and lots of extra skin etc) chicken is closer to $4 -$5 per pound. If I add the $0.13 to the $1.69, I still come up under $1.99, and way under the $4-$5 per pound for similar quality chicken at the grocery store. If you find a great deal on meat, canning it can be a great way to preserve it and take advantage of those savings. Canned meat is very tender and works well in burritos, enchiladas, soups (add it in last), chicken salad sandwiches, etc. How to lower the cost: Look for canning supplies at thrift stores or garage sales. Buy produce when on sale for deep discounts. Track this with a service like Deals to Meals. Home canned foods differ from commercially canned food nutritionally in one big way: You have control over the food you put into your can. Like I mentioned early, we don’t know if the food in commercially canned foods was allowed to fully ripen or how long it sat after being picked before being canned. But if you are canning your own food, you have much more control over that, especially if using fresh garden produce or produce picked that same day at a farmer’s market! Food canned at home from these sources is likely just as healthy as “fresh” food you buy at a grocery store (that was likely picked before ripe, allowed to ripen on a truck and then sold to you a week or two after being picked). Unlike commercially canned foods, YOU control the additives and preservatives in home canned foods. In addition, you don’t have to worry about BPA. If you already know how to can, then go for it! But for those that don’t yet have this skill, here is a learning curve associated with canning. It can take some time and be overwhelming. If done incorrectly, there is a risk of botulism with home canned foods, and that isn’t something to take lightly. You can read more on the risk of botulism HERE and other safe canning practices HERE. One of my favorite resources for learning to can is a the Home Canning For Beginners and Beyond DVD by Kendra from New Life on a Homestead. Save $5 with code LEARN2CAN. In order to can your own produce, you must grow it first. Gardening can take anywhere from an hour or less a week for a small garden to many hours each week for a large garden. For the average home gardener let’s say you spend about one hour per week (more in the planting and harvesting seasons and less between them) from April – September. That is around 26 hours. At 100 pints canned per year, that is around 16 minutes per pint. Time spent canning will obviously vary as well. Inexperienced canners will spend more time than experienced canners. But generally, you will spend some time preparing (cleaning, peeling, cutting, blanching etc) your produce and your equipment (cleaning jars, finding lids, etc) as well as time processing the food. Once you have everything set up, you can do other things while the food processes, so we will leave that out of the calculation. But you will have cleanup time too. So, lets say (again, I know this will vary) that you spend 1 1/2 hours preparing a batch of food (5-9 pints depending on the size of your canner), 15 minutes setting up equipment, and 30 minutes in cleanup. That is around 19 minutes per pint. So a (decent) guess is that is takes around 33 minutes per pint of garden produce you can, or around 22 minutes per cup. If you can store bought produce, you will spend around 10 minutes per cup. 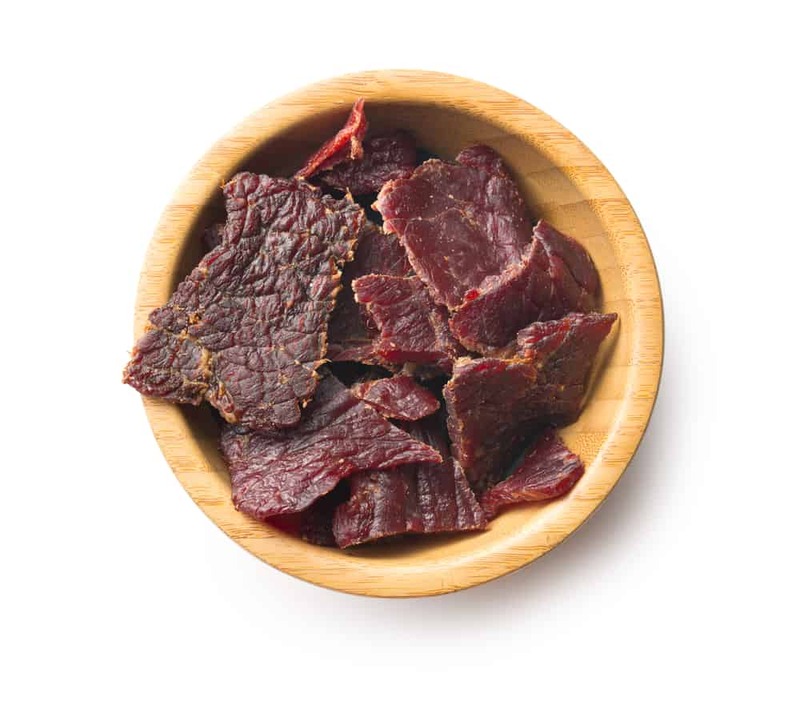 When I talk about commercially dehydrated foods, I’m talking about raisins and beef jerky you can buy at the store as well as food packaged in #10 cans from food storage companies such as Thrive Life, Honeyville, Augason Farms, or Emergency Essentials. Most commercially dehydrated foods have a shelf life of 5-10 years. Commercially dehydrated foods are dehydrated using processes that can bring moisture content down to as low as 5% (and measure it to be sure it is that low). And most commercially dehydrated foods are also well packaged. The oxygen is removed, and the food is sealed in a metal can under a vacuum with nitrogen. Depending on their water content, some dehydrated foods can have a shelf life of 25 years. Read the labels to find out for sure. Commercially canned food in bags (raisins and jerky etc) will have a shorter shelf life: around 1-2 years. The cost of commercially dehydrated produce varies between $15-$30 per #10 can depending on where you buy it and what food you are buying. Dehydrated food shrinks to approximately 2/3 it’s size depending on the product. So, while each #10 can will contain 10-11 cups of food, that is equivalent (calorie-wise) to around 17 cups of fresh food. How to lower cost: Shop Emergency Essentials Group Buys each month! If you want to stock up on 6+ of something or have a group of people that want to purchase the same thing, you can save up to 50% with their group buys each month! The heating process of dehydration destroys most of the vitamin C. Vitamin A can be fairly well retained if controlled heat methods are used, but you will lose 10% – 30%. You will also lose some some minerals, thiamin, folic acid, and riboflavin while blanching, but not more than 10%-30%. That same blanching will help retain what vitamin A, C and thiamin you have left during storage. But as with canned food, this isn’t as big of a deal as it might seem at first. Fresh produce is rarely eaten immediately (unless you grow it yourself), and if not refrigerated it can lose up to half of those same nutrients within a few days. Even if refrigerated, it will happen with a week or two. Most of the “fresh” produce you buy at the grocery store has already lost the same amount of vitamins. So, if food is dehydrated immediately, the nutrient levels might not be all that different from fresh. But, with commercially dehydrated foods, you don’t know if the food was allowed to fully ripen (and develop all it’s nutrients) before being dehydrated. You also don’t know how long it sat after being picked before being canned. Personally, I don’t fully trust the nutrition levels of most commercially dehydrated foods. *Thrive Life would be one exception to this. They only carry a handful of dehydrated products (as the majority of their line is the more nutritious freeze dried), but they guarantee that their foods are allowed to ripen naturally and dehydrated / freeze dried the same day they are picked (within 2-3 hours in most cases). I have seen them reject entire truckloads of food at a HUGE cost to the company because the food did not meet this standard. Some commercially canned foods contain additives or preservatives. This is especially true of meat and foods you get at the grocery store. Individual fruits and vegetables packaged by “food storage companies” are less likely to have additives, but some still do. Sodium, in various forms is the most common. Sulfites are another and many people are very sensitive to them. Read your labels if additives and preservatives are important to you. The color, flavor and texture of dehydrated goods is different than fresh. That does not mean it is always bad (who doesn’t love jerky or raisins? ), but it is different. Some dehydrated food, like jerky, raisins, cherries or fruit leather is chewy and can be eaten without re-hydration. Other dehydrated food such as carrots and potatoes become very hard and require re-hydration before eating. The colors in dehydrated food are sometimes (not always) more dull. The flavor is often more concentrated since you have the same amount of flavor and sugar packed into something nearly twice as small. Some dehydrated foods (most vegetables) work great in recipes! I love soups made with dehydrated veggies! Other foods, such as meat, can be very difficult to re-hydrate and use in an actual recipe. If you want to make tacos, jerky probably isn’t your best option! In addition, dehydrated foods take more water and heat to re-hydrate than any other type of preserved food. Dehydrated foods in some forms (raisins and jerky) are quite common. Most kids would eat them dry and enjoy them. However, learning to use them in recipes can be a bit tricky because of the amount of water / heat needed to re-hydrate them. However, this learning curve is quite small when compared to the learning curve required to learn to can foods safely. Some dehydrated foods are available at the grocery store. But a much wider variety are available from “food storage companies” such as Thrive Life, Honeyville, Augason Farms, or Emergency Essentials. Emergency Essentials and Augason Farms have the largest selection of dehydrated foods. You likely won’t purchase this while grocery shopping. You will need to find some time to sit down and place an order with a food storage company and then the order will be shipped to you. But the time investment is very minimal. In many ways, home dehydrated and commercially dehydrated foods are very similar. I will only address the differences between these two below. The shelf life of home dehydrated foods is tricky. Moisture content is very important when determining shelf life. If your dehydrated food has too much moisture left in it, contamination will be an issue. For this reason, commercially dehydrated foods will often have a longer shelf life than home dehydrated foods. Commercially dehydrated foods use processes that can bring moisture content down to as low as 5% (and measure it to be sure it is that low). But moisture content below 10% is more difficult with a home machine, and you can’t measure it. Most commercially dehydrated foods are also well packaged. The oxygen is removed, and the food is sealed in a metal can under a vacuum with nitrogen. This type of packaging can be difficult (though not impossible) to mimic at home. For these reasons everything I read above (see “references” at the top) suggested a shelf life of 6-12 months for home dehydrated foods stored at average (70° F) temperatures, in a regular pantry. However, there are a few things you can do to extend that shelf life! You do need to be very careful about vacuum sealing home dehydrated food with oxygen absorbers in mylar bags / mason jars. If there is too much moisture in the food, you will increase the risk of botulism. This doesn’t mean you can’t do it! Just be sure your food is extra dry (moisture content should be below 10%) and crispy (not chewy). Jane from Mom With a Prep (check out her 101+ dehydrated recipes) dehydrates a LOT of food and I very much trust her opinion on this subject. She says that if safe dehydrating and storing practices are used, she would be comfortable keeping home dehydrated food for a few years. After that initial cost, there are some additional costs each time you can. You will need to pay the electricity for running your dehydrator. According to this chart, the average cost to run a 500 watt 5 tray dehydrator is around $0.06 per hour. If you have a dehydrator with a thermostat it likely won’t run at full wattage the entire time, so lets say $0.03 per hour for electricity costs. If assume 1.5 cups per tray and 12 hours on average to dehydrate that comes to $0.10 per cup. If you are packing your food for longer term storage, you will need mylar bags (or mason jars) and oxygen absorbers. One gallon bags and the appropriate (300 cc) oxygen absorber run around $0.30 – $0.40 each. Each gallon bag will hold around 10 cup of dehydrated product (which was 20 cups when fresh). So cost per cup (fresh) is around $0.02. According to this study by the University of Kentucky Extension service from 1998, the cost of gardening is approximately $0.10 per pound and one pound will give you around 1 cup (fresh). It might be a bit more than that now in 2015, so we will go with $0.15 per pound or $0.09 per cup. So, if you grow your own produce, your cost per cup (fresh) will be around $0.37 per cup. Compare that to $1.32 per cup from commercial companies and that is quite the savings! However, if you don’t buy your own produce and instead buy from the grocery store or farmer’s market, the cost is more. You are paying $0.28 PLUS the cost per pound of the produce. This study from 2011 found the average price of produce to be $0.24 per 1/4 cup serving or $0.96 per cup. So, on average, you will pay $1.09 per cup if you buy produce from the grocery store. Just like home canned foods, home dehydrated foods differ from commercially dehydrated food nutritionally in one big way: You have control over the food you put into your can. Like I mentioned early, we don’t know if the food in commercially dehydrated foods was allowed to fully ripen or how long it sat after being picked before being canned. But if you are dehydrating your own food, you have much more control over that, especially if using fresh garden produce or produce picked that same day at a farmer’s market! Unlike commercially dehydrated foods, YOU control the additives and preservatives in home dehydrated foods. In addition, you don’t have to worry about BPA. If you already know how to dehydrate food appropriately, then go for it! But for those that don’t yet have this skill, there is a learning curve associated with dehydrating. It can take some time and be overwhelming. 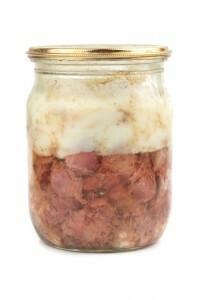 If done incorrectly, there is a risk of botulism with home dehydrated foods, and that isn’t something to take lightly. Make sure you know which food NOT to dehydrate. One of my favorite resources for learning to dehydrate is the Ultimate Dehydrator Cookbook by Tammy Gangloff . In order to dehydrate your own produce, you must grow it first. Gardening can take anywhere from an hour or less a week for a small garden to many hours each week for a large garden. For the average home gardener let’s say you spend about one hour per week (more in the planting and harvesting seasons and less between them) from April – September. That is around 26 hours. At 160 cups dehydrated per year, that is around 10 minutes per cup. Time spent dehydrating will obviously vary as well. When you are inexperienced it will take longer. But generally, you will spend some time preparing (cleaning, peeling, cutting, blanching etc) your produce as well as time processing the food. You will also have some equipment set up time. But once you have everything set up, you can do other things while it processes, so we will leave that out of the calculation. You will have cleanup time too. So, lets say (again, I know this will vary) that you spend 1 1/2 hours preparing a batch of food (5-10 cups depending on the size of your dehydrator), 10 minutes preparing the equipment and 30 minutes in cleanup. That is around 17 minutes per cup. So a (decent) guess is that is takes around 27 minutes per cup of garden produce you dehydrate. If you dehydrate store bought produce, your time investment is around 17 minutes per cup. Meat, cheese and produce that is well packaged can easily last 6-12 months, or even a longer depending on your freezer and packaging methods. However, if you face a no-electricity scenario, your shelf life is suddenly GONE. Generators can help with this. You can get a good quality gas generator for around $300-$500 that would power your freezer. But you’d have to store gas for it and gas generators are noisy. Since I don’t want to store gasoline, I’ve opted for a solar generator from Goal Zero (and solar panels) that is strong enough to power my freezer. I actually own two: I can use one and charge one at the same time. Another option is to quickly can / dehydrate the foods you have in your freezer during a long term power outage. To do this you would need a way to can without power and / or a small generator to power the dehydrator. To freeze food, you have to buy a freezer. Most of us have a small freezer with our fridge, but if you are going to seriously consider this as a method of food storage, I suggest you purchase a stand alone (upright or chest style) freezer. A 20+ cubic freezer will cost around $500-$1000 and should last at least 5-10 years. So, the cost per year is around $100. If you freeze just 100 cups per year, the cost is $1 per cup. However, I have far more than 100 cups of food in my freezer. There is very little time investment required to freeze food (compared to canning or dehydrating) so it is easier to freeze more of it. Let’s say I freeze 250 cups per year (still very conservative in my opinion), my cost is now around $0.40 per cup. In addition, I have to consider the cost of electricity. For an average 750 kilowatt per year freezer at the national average of $0.10 per kilowatt hour, that cost is around $75 per year or $0.19 per cup. But I will also keep other things (popsicles, ice cream etc) in my freezer, so let’s say my freezer is only 2/3 full of “food storage.” That means the cost is around $0.13 per cup. I also need to be able to package my meat, cheese and produce in something. I use ziploc freezer bags and have been fine. If you wanted to extend the shelf life, you could consider using vacuum saver bags, but that will increase your cost. We easily use our freezer food within 6-12 months, so I’m not concerned about extending the shelf life. I spend around $0.05 per quart sized bag and put 1-3 cups in each bag. That is around $0.03 per cup. Once again, according to this study by the University of Kentucky Extension service from 1998, the cost of gardening is approximately $0.10 per pound and one pound will give you around 1.6 cups. It might be a bit more than that now in 2015, so we will go with $0.15 per pound or $0.09 per cup. So, the cost to freeze my garden produce is around $0.65 per cup which is still less than buying commercially canned goods at the grocery store and doesn’t take that much more of a time investment. However, if you don’t grow your own produce and instead buy from the grocery store or farmer’s market, the cost will be higher. You are paying $0.50 PLUS the cost per pound of the produce. This study from 2011 found the average price of produce to be $0.24 per 1/4 cup serving or $0.96 per cup. So, on average, you will pay $1.50 per cup if you buy produce from the grocery store. If I add the $0.53 to the $1.69, I’m still way under the $4-$5 per pound for similar quality chicken at the grocery store and I can make it last 6-12 months!. If you find a great deal on meat, freezing it can be a great way to preserve it. Take advantage of those savings! Frozen meat works just like fresh once thawed. NOTE: A freezer also allows you to freeze things like cheese, yogurt, butter, eggs, bread, lunch meat, tortillas etc all of which can be difficult (or impossible) to can or dehydrate at home. If you can buy those items in bulk while on sale, then your freezer may be saving you even more money. 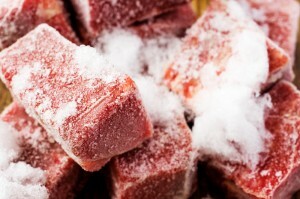 Freezing food is one of the best ways to preserve its nutrients. Freezing does not destroy any nutrients. Even after a year of being frozen, the Vitamin C levels (one of the most sensitive vitamins) in frozen foods have been found to have dipped by around just 10%. When freezing your own fully ripened garden produce, you are locking in nearly 100% of those nutrients. The color, flavor and texture of frozen foods is about the closest you are going to get to fresh. Meats will have no noticeable difference from fresh once thawed. Because frozen foods are so similar to fresh in their texture, they are very easy to use in most recipes. Stir fry is great with frozen veggies and I love frozen fruit in my smoothies. Frozen fruit also works very well in baking (like blueberry muffins) and can prevent some of the “bleeding” you might get from fresh or canned good (no more blue blueberry muffins). Frozen foods have been around for a long time and most everyone has eaten them. They aren’t new or scary. There isn’t much of a learning curve and even using in recipes that call for fresh is quite easy. In addition to produce and meat, you can freeze lots of other familiar items (cheese, eggs, yogurt, bread etc) which makes this a great option for really storing what your family actually eats! Frozen goods are very easy to simply pick up at the local grocery store. A fantastic way to get started on your food storage is to stock up on items when on sale and freeze them. I use Deals to Meals to help me do this without spending an enormous amount of time. In order to freeze your own produce, you must grow it first. Gardening can take anywhere from an hour or less a week for a small garden to many hours each week for a large garden. For the average home gardener let’s say you spend about one hour per week (more in the planting and harvesting seasons and less between them) from April – September. That is around 26 hours. At 250 cups frozen per year, that is around 6 minutes per cup. Time spent freezing will obviously vary as well. You will spend some time preparing (cleaning, peeling, cutting, blanching etc) your produce as well as time freezing the food and the possibly re-bagging it. You can do other things while it freezes, so we will leave that out of the calculation. Cleanup will be minimal (just a cutting board and knife) So, lets say (again, I know this will vary) that you spend 1 1/2 hours preparing a batch of food (5-10 cups or so) and 15 minutes in cleanup. That is around 14 minutes per cup. So a (decent) guess is that is takes around 20 minutes per cup of food from your garden that you freeze. If you are simply storing pre-packaged foods in your freezer, your time investment will be nearly nothing as you can just pick items up at the grocery store when there. 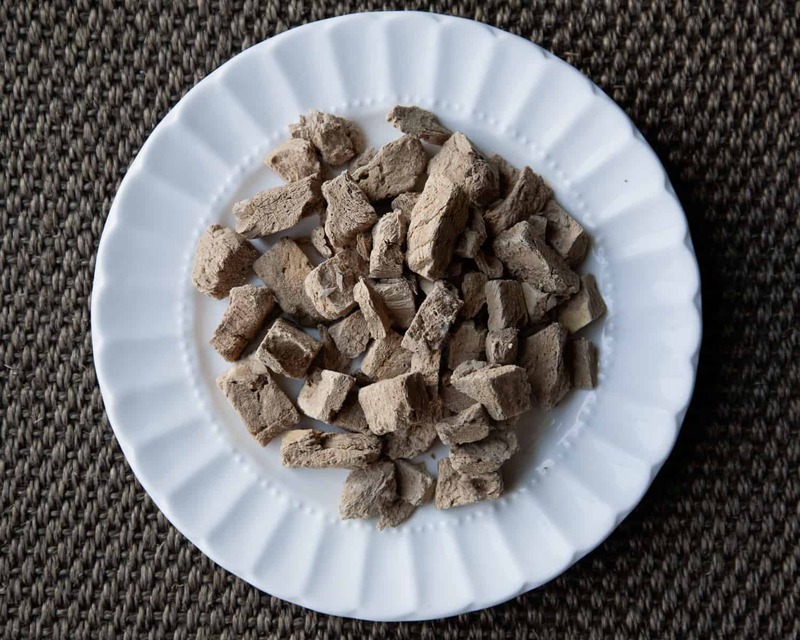 Many people new to e-prep are unfamiliar with freeze dried foods. And even some of those that have been at it a while think “freeze dried” is just another word for “dehydrated,” but freeze dried foods are actually very different from dehydrated. Process-wise, dehydration uses HEAT to remove water from food. Freeze drying uses a process called sublimation. This means, the food is frozen (to a very low temp), placed in a vacuum and then the water is removed without going through the liquid state. It goes right from ice to gas! This prevent all loss of water soluble vitamins. Home dehydration typically removes 70%-90% of the water in food. Commercial dehydration can remove up to 95%. Freeze drying removes 98% – 99% of the water in food. This makes for an extremely long shelf life. NOTE: I am not talking about freeze dried just add water meals. I VERY strongly advocate against those. I am talking about individual products (say peaches for example) being packaged with nothing else (just peaches). Meat, cheese, yogurt and produce that is freeze dried will last (sealed) on your shelf for 25 years. Once opened it will typically last 6-12 months. The cost of commercially freeze dried produce varies between $20 – $35 per #10 can on average with vegetables being less than fruit in general. Freeze dried food stays the same size as fresh food, so one #10 can will contain 10-12 cups of food. That comes to around $2.50 per cup. Shop Thrive Life’s “unadvertised” specials to save nearly 50% off retail (as low as $12 per can for veggies). If you are planning to spend over $400, contact me directly with your order and I can credit you free and 50% off product with Thrive. Host a cooking class with a Thrive Life consultant. I know of consultants all over the US and can likely put you in contact with someone near you. Most class hosts earn around $100 in free product and $100 in 50% off product. Shop Emergency Essentials group buys each month. Freezing food is one of the best ways to preserve its nutrients because freezing does not destroy any nutrients. And freeze drying is even better than freezing nutrient-wise. After it is frozen, the oxygen is removed, and the food is sealed in a metal can under a vacuum with nitrogen. This virtually eliminates the loss of further nutrients since there is no water (1% – 2%) or oxygen or light in the can. Freeze dried food will retain nearly 100% of the original nutrients years after being packaged. However, most companies don’t disclose much about their freeze drying process. Some may allow the foods to fully ripen and then freeze dry them the same day they are picked. But they may not. If you call them, most can’t tell you. *Thrive Life would be one exception to this. They guarantee that their foods are allowed to ripen naturally and then freeze dried the same day they are picked (within 2-3 hours in most cases). I have personally seen them reject entire truckloads of food at a HUGE cost to the company because the food did not meet this standard. The color, flavor and texture of re-hydrated freeze dried foods is the same as thawed frozen food. All freeze dried foods can be eaten dry. In fact, most are very tasty this way. They are very different from dehydrated foods. Since they have virtually no water in them, they tend to be very brittle and will crumble in your hand if you squeeze them. Because freeze dried foods are so similar to fresh in their texture, they are very easy to use in most recipes and swap out with fresh quite easily. Conversion is easy since they don’t shrink in size like dehydrated foods do. Freeze dried foods are new to most people. There can be a learning curve associated with them though this learning curve often feels much larger than it actually is. Freeze dried foods are really very simple to use / swap for fresh in recipes. The Thrive Guide is my favorite little book for learning how to use them. In addition to produce and meat, lots of other familiar items (real shredded cheese that melts, yogurt, bread etc) can be freeze dried which makes this a great option for really storing what your family actually eats! Some freeze dried foods are available at the grocery store, but they are extremely expensive and not packaged for long term storage. A much wider (and less expensive) variety are available from “food storage companies” such as Thrive Life, Honeyville, Augason Farms, or Emergency Essentials. My favorite place to buy freeze dried foods (in fact, the only place I will buy them for my family) is Thrive Life. You won’t purchase freeze dried foods while grocery shopping, at least not for long term storage. You will need to find some time to sit down and place an order with a food storage company and then the order will be shipped to you. But the time investment is very minimal. They currently (2015) cost $4000! They come with just a 1 year warranty. Ouch. It takes 36-48 hour to freeze dry food enough food for one #10 can. So at most you could do 200 cans a year if you ran it every single minute of the year. If it only lasts for 1 year, and you are reasonable about how much you can actually freeze dry (say 50 cans / year…which is 550 CUPS) you will be paying $80 per can before the cost of electricity or food or cans or oxygen absorbers! Even it if lasts for 5 years, you are paying $16 per can before you even buy anything else! In addition, I worry about the quality. Many have told me their food comes out dry “just like dehydrated food,” or that it “snaps” when dry. None of the commercially freeze dried foods I have “snap.” They all crumble when dry. They are nothing like dehydrated foods. So, part of me wonders if it really is removing 98%+ of the water. If not, then a home freeze drier is really more like a very expensive dehydrator that doesn’t kill the nutrients, but also doesn’t give you a true 25 year shelf life. That being said, I am excited about the technology. Just like anything else, it will likely be higher quality and cheaper within a few years. For me, I will wait until that happens to look into it! Like I mentioned at the very beginning of this article, I don’t believe there is any one right way for every single family. I will tell you what I have done for my family, and why, but that may not work for your family. Read through and study all the information available in this (MASSIVE) article and then do what works best for you! Nutrition is extremely important to me. I don’t just want calories for my family, I want vitamins! We use our food storage daily, so I want it to be as nutritious as possible. But this comes at a cost since freeze dried food is more expensive. Time is money for me. I work full time (blogging) and have four young children. I also serve heavily in my church and volunteer at school. I guard my time as carefully as I do my money. I have to “budget” it. Right now, there isn’t much room in my time “budget” for canning or dehydrating. That may change as my children get older and can help with those tasks. But for now, even if I estimate my time to be worth a conservative $20 / hour, canning and dehydrating are more expensive than purchasing freeze dried food for me. Most of what I freeze is store bought (cheese, eggs, stir fry veggies, fruit for smoothies and lots and lots of meat), so freezing isn’t much of a time investment for me. I don’t like how most canned food tastes. I grew up eating lots of canned food and I just never loved it. The texture bothers me. Since I’ve been married, we’ve haven’t eaten very much canned food (we do like pineapple and tomato sauce and olives and corn and home canned meat) and since I like to store what I eat, I don’t store many canned goods. But this is just a personal preference! Many people DO like canned foods. I really like to cook from scratch and frozen / freeze dried foods taste the most similar to fresh in my opinion. They convert the easiest. I’ve had an extra freezer for a long time. We got it 8 years ago (hope I don’t have to buy a new one soon!) and got a great deal on it ($300). So our cost to freeze food (so far) is less than what is listed above. Water storage is not an issue for me. I am blessed to have space for twelve 55 gallon barrels, plus a bunch of 5 gallon jugs. I also have multiple filters and purifiers. Hydrating our food won’t be a problem. For those without this blessing, you will need to take that into consideration when storing freeze dried and especially dehydrated foods. I earn free food (and my solar generators) as a consultant for Thrive Life, so this is not as expensive for me as it might initially seem. When I do purchase freeze dried food, I never do so at full price. It is always over Black Friday or as part of a group buy or through one of the “unadvertised specials” from Thrive. Since I use my freeze dried foods regularly, they save me money on my grocery budget. For example, instead of buying fresh celery and throwing half away b/c I only needed 1 cup, I just use exactly one cup freeze dried with no waste. Or instead of making a batch of taco soup that calls for a entire can of beans, corn, tomatoes and green chilies, but will feed 10+, I make a smaller version for our family of six using less than 1 can of each ingredient (freeze dried) and don’t have any waste. However, I do LOVE to garden. We will have a lot of extra produce this year. Some, I will give to family and friends. Some I will can, freeze or dehydrate. I simply can’t let it go to waste. So while my main method of food storage is freeze dried, I do use all the methods. I’ve found that for most people, some combination of all the methods is best. Okay, here it is: a summary. This is what you’ve been hoping for the entire time you were ready through that CRAZY long article! Print this and use it to talk about and decide how your family will store the foods you eat regularly. Click HERE or on the image below to download it! AWESOME article Misty! Thanks for all your hard work. You are welcome. I’m glad it was helpful Janelle! I have just started the eprep 101 course (proud completer of Lesson 1!) and have come to the blog to “look around” and learn more while waiting for the next lesson. Ordered Thrive products after reading recipes….love everything I’m seeing here! Most of all, the overwhelm-edness seems to be settling down! Thank you for all the GREAT info!!!! I so glad you found helpful info Karen! Great article, Misty! Thank you for breaking all that down in plain English. I didn’t feel it was biased at all – just a breakdown of what’s what. It’s difficult to report on a topic like this because everyone’s experience and needs are different but I think you have something in here for everyone. I’ll happily share this with my readers. Have you come across an Organic or responsibly produced food storage line that you can recommend. I’m looking for something to put in my 72 hour kit that won’t fill us full of gunk – I just need clean, preferably freeze dried, food for a shorter term kit. Your thoughts are appreciated! Hey thank Tessa! I’m glad you found it helpful! As for organic / responsibly produced food the only one I’m familiar with is Thrive. They have a (very small) organic line, but the vast majority of their foods are non-GMO. You can find a lot of information about each of their products on this list, but let me know if you have questions about a specific one. Oh, and thank you so much for sharing this with your readers! 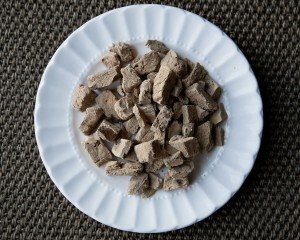 This article seems quite biased towards freeze-dried foods. $2.50/cup?! There are 7 people in my home. This method of food storage is exceedingly expensive compared to all of the others. This is also the first time I have heard of a botulism risk from home dried foods. Has there ever been an incident of this actually happening to someone? I use a combination of all of these methods. I home-can meats (yay for Zaycon! ), jams, and some fruits, dehydrate many fruits and veggies either from my garden, the local fruit stand, or my favorite is to purchase organic frozen produce at Costco and pour it out frozen onto the trays. No prep that way! I also purchase powdered milk, freeze-dried cheeses, canned goods from the grocery store/Costco, and some commercially dried veggies and freeze-dried fruits from either Emergency Essentials, Honeyville, or Harmony House Foods. I also make purchases through Azure Standard for dry goods such as flour, grains, beans, cocoa, salt, etc. I focus on building my food storage in 3 month units and plan to rotate by using and replenishing, so, for example, after using a summer unit I would re-stock it for the following summer. A combination of all methods is the best approach in my opinion. Hi Shawna! Thanks for your input. I agree that usually a mixture of all the methods is best. I mention that in one of the very first paragraphs of the post. I also mention that our family uses all methods though we are heavy on the freeze dried. I truly hope this article doesn’t come across as biased. I tried VERY hard not to be. In fact, like you mentioned, the prices alone that I give would more likely persuade people AWAY from freeze dried foods instead of toward them. I get that freeze dried foods are more expensive than other methods, and that not everyone can afford them or should invest in them. But in my circumstance, they are worth it to me b/c of my time constraints. Time is money for me and the time required to can and dehydrate is heavy. I also tried to make it very clear that I NEVER pay $2.50 per cup for them. I get most of my freeze dried food for free. That isn’t possible for everyone. When I do purchase it, I spend much more close to $1-$2 per cup (for produce) through various sales and deals, and that IS possible for everyone! IN addition, water storage isn’t an issue for me like it might be fore some, so I have the water needed to hydrate my food. As for the actual comparisons, I tried VERY hard to be fair and honest. I spent hours researching just for that reason. I did NOT want this article based on just my (likely biased) opinions. Everything in the article / comparison chart are facts I found from those articles. The shelf life of freeze dried food IS longer. That is a fact, not bias. The cost IS higher. Fact. The nutrition level is higher. Fact. There are no additives in home canned / dehydrated foods unles you choose to put them in (HUGE plus for those methods). Fact. Everything else (including freeze dried) requires you to check labels. Freeze dried foods color, taste and texture is the most similar to fresh. That is a fact, but doesn’t mean that the texture of the others is BAD. I mention that I really like tender canned meat. I also love jerky and raisins and a LOT of dehydrated fruits. I personally don’t love most other canned foods, but that is just me. I state that as an opinion in the article at the end and not a fact. Freeze dried food is very easy (though not as easy as frozen) to use is recipes. That is a fact. Canned and dehydrated food can also be used it recipes, but it is different from fresh and there IS a learning curve in order to learn how to can / dehydrate safely. I can’t change the facts. The articles I link to above from various university extensions are mention botulism. That is where I got that fact. But from my own personal experience, a few years ago I put up a (guest) article on canning meat and butter and I got a HUGE slew of comments from a ton of people (Probably over 50 comments in one day) saying everything from kindly stating they had gotten sick from old canned meat to very crueling telling me I was going to kill someone by encouraging them to can those things. I deleted the article that day b/c I don’t want to encourage anyone to do anything unsafe. I do not want that kind of responsibility. ANY food, improperly sealed / stored that then sits on a shelf in your pantry for a while before you eat it could make you sick. I don’t state that properly canned food has the risk of botulism, but improperly canned food does. There is a very real risk that someone inexperienced will improperly can their own food at home and make their family sick. So I mentioned that in order to make sure that if someone does choose that method, they make sure to learn to do it safely. Again, I really do appreciate your thought (and agree with them). I just want to make sure this isn’t seen as biased. I don’t want it to be! I want it to be helpful, factual information. I love my freeze dried food so much I was almost hesitant to post this b/c I knew that since the nutritional difference really isn’t what some say it is and the cost of freeze dried is so much higher, that many would choose something other than freeze dried. But I did post it, b/c it is honest and the simple fact is that not everyone can afford freeze dried food. It very well may not always be worth the additional cost. 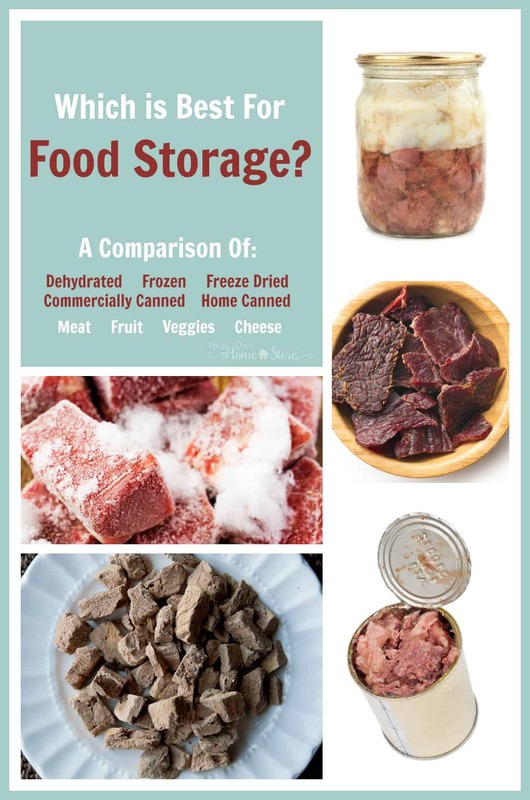 I will be posting an article soon on the “true cost of freeze dried foods” where I compare it to fresh (at the grocery store) instead of other canning methods. It isn’t much more expensive than fresh in many circumstances. ANd for someone that can’t can / dehydrate (b/c of time of lack of interest) it may still be worth it! Wow. I am eating meats that I canned in 2008 and they are great. Tuna, beef, turkey and pork. To say home canned food has a shelf life of 1 year I think is very inaccurate. Thanks for sharing your experience Prepperdaddy! I don’t doubt that they are fine! Like I mention, the 1 year shelf life that the university extensions give is likely b/c not all home canners can be trusted to do it right every time. I’m guessing you have a lot of experience with it and do it well! I also mention that the 1 year shelf life can likely be extended by storing food in a cool, dry place. In addition, shelf life is a relative term. Food may be safe to eat years later, but not contain all the nutrients it did originally. If nutrients are important to you, food should be eaten as soon as possible.